The Friends of Fort Hartsuff hosting Civil War Re-enactors April 14 and April 15 !!! COLUMBUS, Neb. 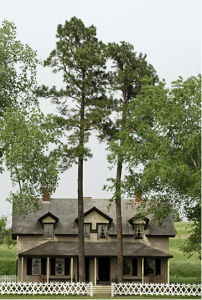 — Two large Ponderosa pines planted by soldiers at Fort Hartsuff in the 1870s have been recognized by the Nebraska Heritage Tree program, a cooperative effort of the Nebraska Forest Service and the Nebraska Community Forestry Council. Trees were scarce on the plains due to frequent prairie fires. Some canyons were rarely damaged by fires, however, among which was Jones Canyon near Columbus. It was abundant with trees that the army harvested and used for framing and shingles to construct the fort. Soldiers also dug up saplings and brought them back to the fort for planting. The Ponderosa pines in front of the Officer’s Quarters were among the trees successfully moved from Jones Canyon. The pine trees survived a period of about 80 years in which Fort Hartsuff received little or no maintenance, but in 1961 the Nebraska Game and Parks Commission took it over. The trees once again welcome people to what is now Fort Hartsuff State Historical Park. 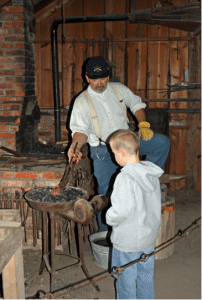 Pictured above: Troy Dowling of Burwell demonstrates the skills that a blacksmith would have needed while working at Fort Hartsuff. The Burwell Tribune June 1, 2011 — Soldiers with the Fremont Pathfinders were stationed at Fort Hartsuff over the Memorial Day weekend demonstrating a living history of fort life in the 1870’s. 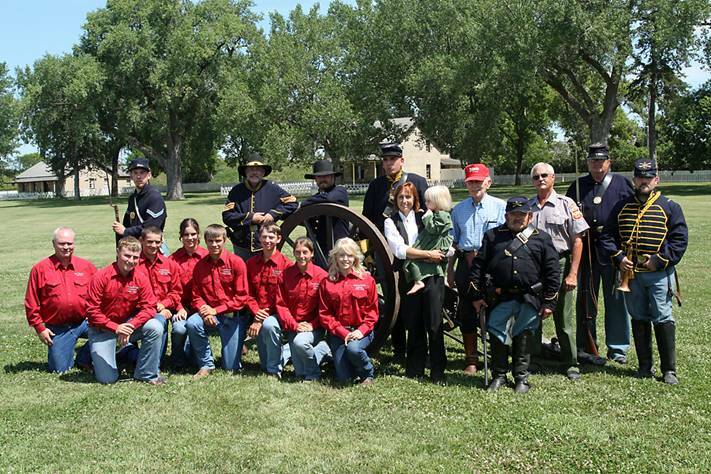 The FFA has frequently visited the Fort and studied the historic flora and fauna native to central Nebraska. 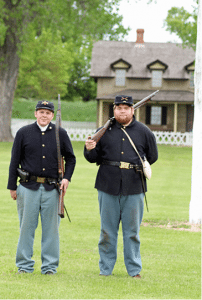 The chapter voted to donate the proceeds from the FFA Barbeque held during Extra-Ordinary Days to the Friends of Fort Hartsuff, a newly started non-profit organization which dedicates all funding to the protection, promotion and preservation of Fort Hartsuff State Historical Park. 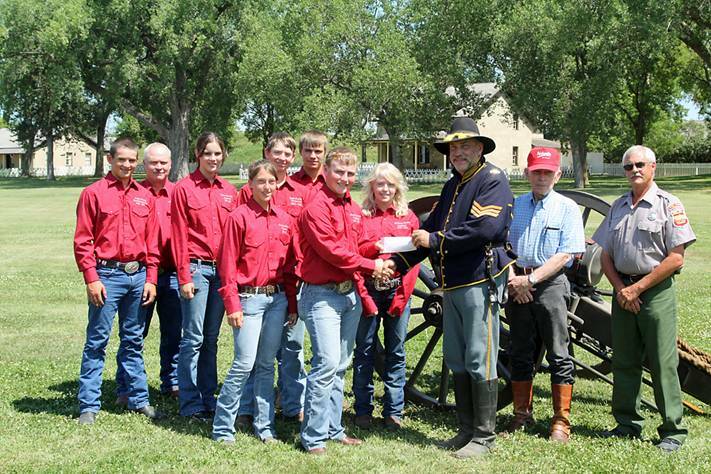 In addition to staffing the Fort with living historians, who manned the barracks, stables, blacksmith shop and other areas of the Fort, the Ord FFA presented the donation to Friends of Fort Hartsuff at 12:00 noon on the parade grounds.